I decided to do a holiday cookie and this is the result. I came across some nice handmade candy canes made from molasses. They didn't have a molasses flavor though and the red stripe is from red beet powder. A nice change from red #40 I thought. The dough is my basic chocolate cookie recipe with a bunch of ground candy cane mixed in. I think the candy cane goes well with the chocolate cookie. Happy Holidays! I started messing around with some chocolates. The peanut butter filling in these is just a little too sweet. The next bunch should be perfect. Pumpkin Cake covered with chocolate ganache with a swirl of cinnamon buttercream. Simple and good. Wow, I think these turned out great. 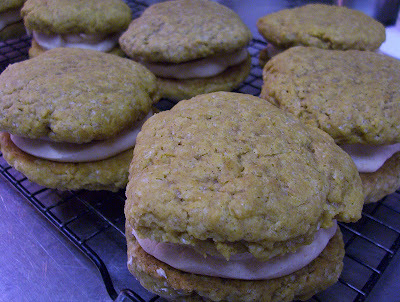 Cinnamon buttercream sandwiched between two layers of pumpkin spiced cookie--or is it cake? Well, neither so I call them monster pies. They are monster sized, taste really good and that's what matters. Don't have time to bake around the holidays? The Venerable Bean can do it for you. Click the image to enlarge. Long long time and no post. Been busy with more things than I can list. I have been baking quite a bit. I love carrot cake. 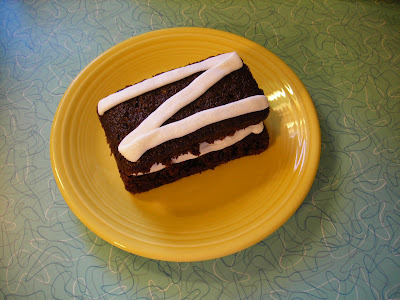 These are moist with a great mix of carrot and spice topped off with a cream cheese icing and a tiny bit of ground walnut. No post in a while but I've been baking a lot. It's been mostly cookies but I never seem to take photos of them. 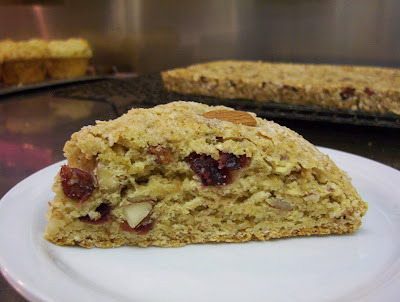 Today was Cranberry Almond Scones. I like the bits of tangy cranberry and the chunks of toasted almond. If you look in the background you can see a tray of Granola Bars cooling. What do you do with an army of mini cupcakes? Eat them one delicious bite at a time. These were made for a recent art opening at Wild Zero Studios. They did not last long at all. 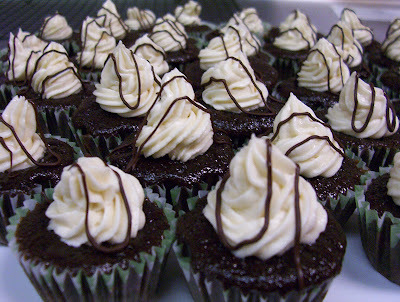 These delicious cupcake gems are baked with moist rich chocolate batter and topped with a light and fluffy buttercream swirled with dark chocolate drizzle. Yes, it's another muffin photo. Do they all look the same? Not to me, I see the golden chunks of pineapple poking out in a few places. 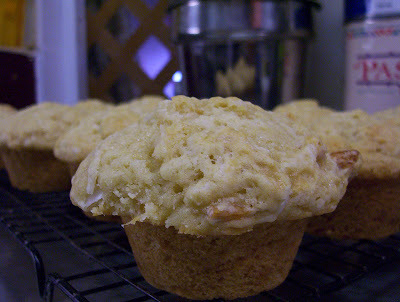 If you look closely you can even see the white flakes of unsweetened coconut in these. It has been that time of year when peaches are as good as it will get. 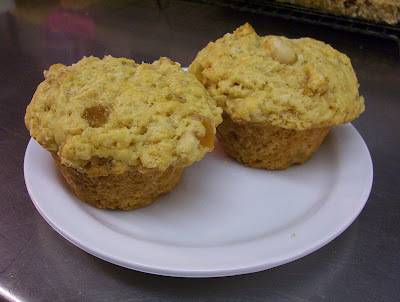 I decided to throw a bunch of ginger and some peach into these muffins. A lot of zing from the ginger and a bit of sweet from the peach. 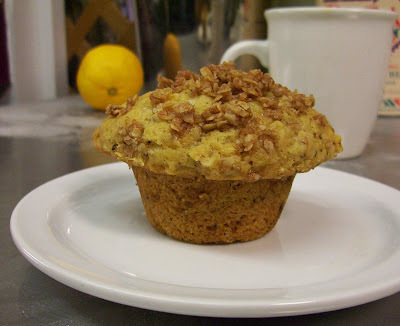 These Streusel topped Walnut Muffins turned out great. I have never been a big fan of walnuts but that seems to be changing. 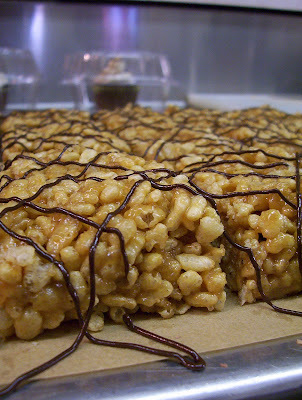 The flavor is subtle and it's pretty hard to go wrong with anything topped wth streusel. Two layers of rich chocolate goodness. Buttercream... Yes! You can't feed this stuff to a baby but it sure makes for a cute photo. 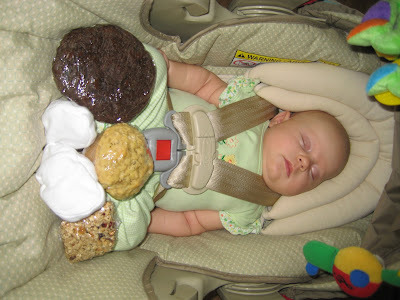 It looks like mommy loves Chocolate Chocolate Chip Cookies, Pineapple Coconut Muffins ... and is that a half-eaten Granola Bar? Thanks for sending in the photo testimonial. 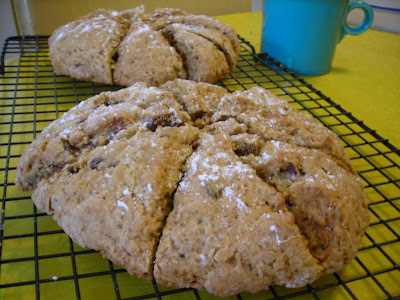 Chocolate Chip Orange Scones sound like a great way to start a Saturday morning to me. Doesn't work for you? 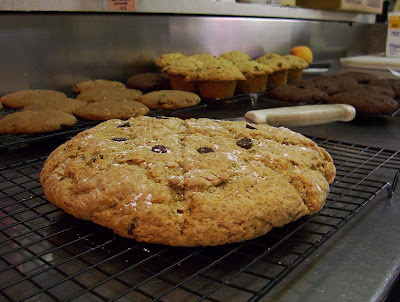 How about a Cherry Walnut Muffin or a Peanut Butter Chocolate Chip Cookie. Perhaps it's a Chocolate Cherry Chunk cookie that will do the trick. Hungry? 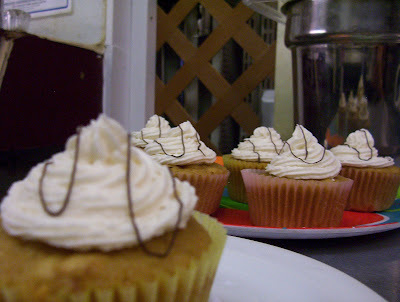 Vanilla cupcakes will be making another appearance. They are moist and will not disappoint. 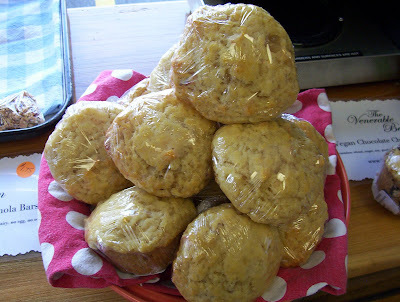 There will also be Pineapple Coconut Muffins, Chewy Fruit & Nut Granola bars and Chocolate Chocolate Chip cookies. I really love all of these but the cookies are soooo gooood. We can do special order cakes. 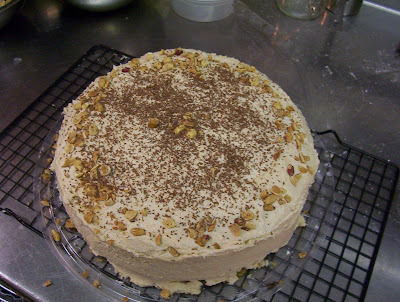 This one is Chocolate cake with Peanut Butter icing. 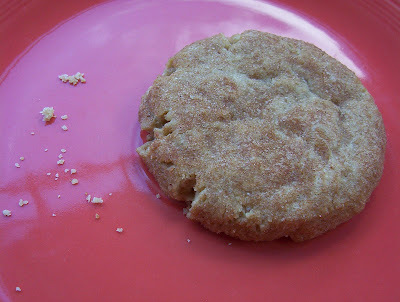 Snickerdoodles are really good. So, as they have been a much requested cookie they will be available today. 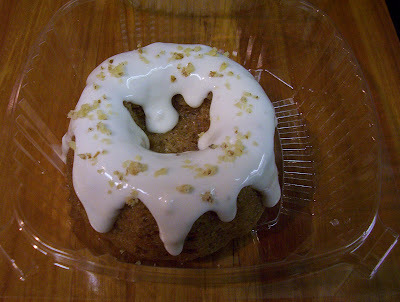 There will also be Cranberry Ginger Muffins and a Fruit & Nut Granola bar. If you are in the Morgantown area stop in Mountain Peoples Co-op and pick up some fresh goods. There will be fresh Blueberry Muffins at the coop today. These muffins are made with fresh local organic blueberries and have a bit of lemon zest to make them special. 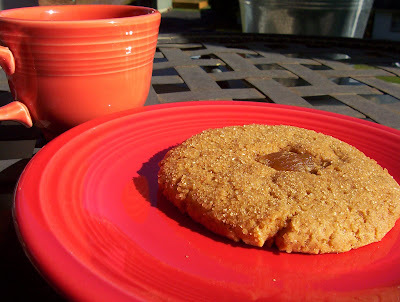 Also, the Peanut Butter cookies will be making another appearance. The last batch went really fast so get them while you can. 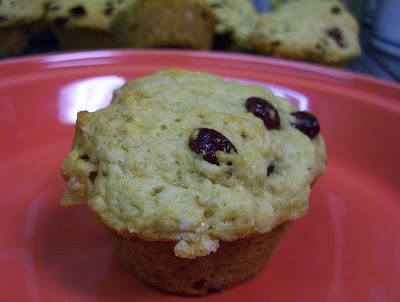 The Cranberry Ginger muffin is pictured but they will be in again sometime soon. I will keep rotating the type of muffins made so nobody will get bored. Variety is good, right? Thanks to everyone for making the first week successful. 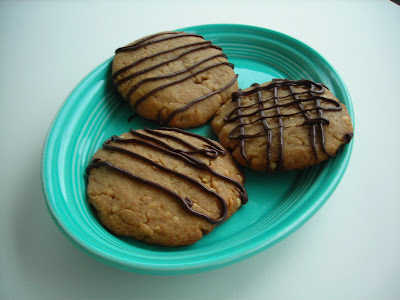 These Peanut Butter cookies are your fix. You can buy them starting today at Mountain peoples co-op! 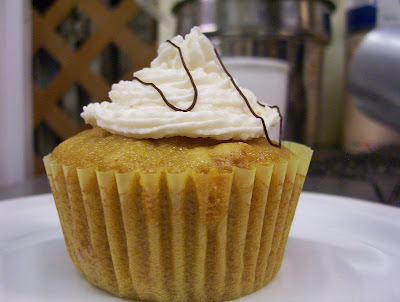 I love the light sweetness of the apricots and the hint of almond in these. 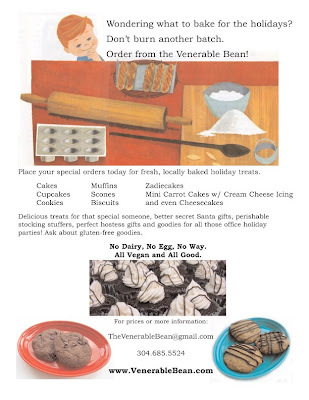 The Venerable Bean is a new company in Morgantown, WV featuring delicious vegan baked goods. 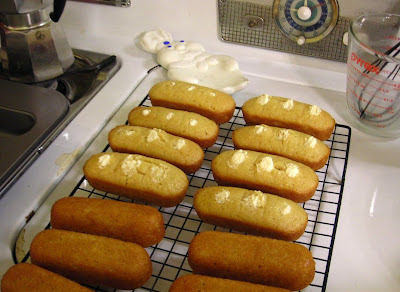 Find our treats at the Mountain People's Co-op starting July 31.